I received this stamp set (So Very Happy) at Leadership back in January and it is such a fun set! Good news, this stamp set will be available for purchase on June 2nd, when the new annual catalog goes live! 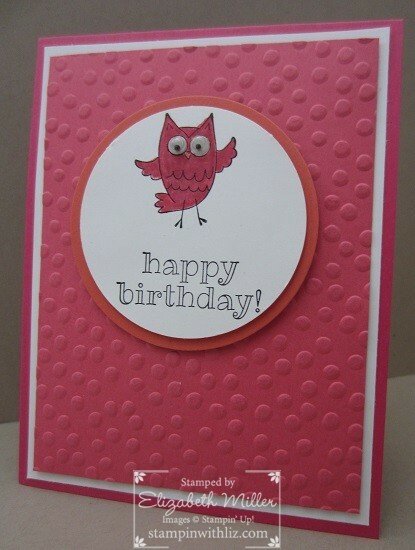 As a double bonus, the Decorative Dots Textured Impressions Embossing Folder will also be available for purchase too. If you remember this folder was a SAB product earned for free when you purchased $50 in product.